At Open Book Publishers we believe that the dissemination of research should be in the hands of academic institutions and research centers, rather than commercial publishers. We collaborate with these groups to create one-off publications or to develop whole series. Our model offers societies and research institutions a flexible and affordable way of publishing, with the opportunity to include online multi-media content. Our Open Access ethos and extensive distribution network means that research published with us will reach the widest possible readership. Our non-for-profit mandate ensures that revenue is reinvested in the publication project. please contact our Managing Director, Dr Alessandra Tosi. We partnered with the NYU’s Global Institute for Advanced Study and the Stern School of Business. The OBP/NYU Series was launched in early 2016 with The Universal Declaration of Human Rights in the 21st Century, edited by former British Prime Minister Gordon Brown. This volume was followed by The Infrastructure Finance Challenge, edited by Ingo Walter, which launched our new Open Report Series, and by Women and Migration: Responses in Art and History, edited by Deborah Willis, Ellyn Toscano and Kalia Brooks Nelson. We work with UCCRI for the Open Access publication of their inter-disciplinary research on biodiversity conservation and we have recently published the seminal Forests and Food: Addressing Hunger and Nutrition Across Sustainable Landscapes. We also work with the Conservation Evidence Project for the dissemination of results from the scientific literature about the effects of conservation interventions. The result of this partnership is the What Works in Conservation Series. Spearheaded by Geoffrey Khan, the Regius Professor of Hebrew, Semitic Languages and Cultures is a book series devoted to philological and linguistic studies of Semitic languages and editions of Semitic texts. OBP has partnered with the World Oral Literature Project, directed by Mark Turin at the University of Cambridge and Yale University, to create the World Oral Literature Series. The series works to preserve and promote the oral literatures of indigenous people by publishing materials on endangered traditions in innovative ways. Lying at the intersection of anthropology and linguistics, the study of oral genres is an exciting and developing field, but one with few publishing outlets. While linguists may relegate their textual corpus to an appendix, anthropologists similarly harvest elements of oral literature to make comparative or theoretical points. The richness and contextual meaning of oral narratives is thus often lost in the process. The innovative publishing practices adopted by OBP make the dissemination of such unique literary traditions possible for the first time. OBP and Dickinson College Commentaries collaborate to produce enhanced key texts in Latin in Open Access format. Our joint Series appears as both free web resources hosted on the DCC website and as interactive texts released in a variety of formats: free to read, digital and printed. Our first volume in the Series is Cornelius Nepos, 'Life of Hannibal' by Bret Mulligan, followed by Ovid, Amores (Book 1) by William Turpin. Global Communications is a new book series that looks beyond national borders to examine current transformations in public communication, journalism and media. Special focus is given on regions other than Western Europe and North America, which have received the bulk of scholarly attention until now. Open Book Publishers has a partnership with the Re:Enlightenment Project, a rapidly growing association of institutions and individuals among whose primary aims is to encourage new ways to disseminate as well as to produce knowledge. Other partners of this project include New York University, New York Public Library, Stanford University and the British Museum. One of our titles, The Sword of Judith, has already resulted from that partnership. OPB is part of a consortium with five other scholarly Open Access publishers – Mayfly Books, Mattering Press, Meson Press, Open Humanities Press, and Punctum Books – and collectively we are seeking to develop powerful, practical ways for small-scale, academic-led Open Access presses to grow and flourish in a publishing landscape that is changing rapidly. We are presently sourcing funding to resolve some of the most pressing barriers preventing small publishers from interfacing with large-scale organisations and processes. OBP is excited to work on a project that embodies the spirit of Open Access, sharing our knowledge, resources and expertise across the consortium to help achieve our ultimate goal: to enable as many readers as possible to access high-quality research, free of charge. OBP, along with five other publishers have partnered together as part of a new EU project, HIRMEOS. This project aims to develop a number of new services for Open Access monographs across existing platforms, specifically we plan to create database architecture and protocols and usage data collection and aggregation tools. This undertaking marks the first steps in an exciting new direction for us, to systematically develop and release our existing publishing software as managed Open Source content, and so enable easy adoption by other and new OA publishing initiatives. We are an Associate Partner of the Digital Scholarly Editions Initial Training Network. We provide secondments to early stage researchers in order to facilitate their research and involve them in a variety of digitization projects. OBP is a strong advocate of the Open Textbook movement. Our titles are widely available on numerous Open Textbook platforms such as MERLOT and the Open Textbook Library. Our publications are hosted on the OpenEdition Books platform. OpenEdition is a web portal for electronic resources in the humanities and social sciences hosting Open Access publications from a consortium of over 160 publishers. All of our titles are listed in the Directory of Open Access Books. DOAB provides a searchable index to peer-reviewed monographs and edited volumes published under an Open Access business model, with links to the full texts of the publications at the publisher’s website or repository. OBP partnered with Worldreader to give readers in the developing world access to digital books using e-readers and mobile phones. To date our books have been accessed over 1 million times in developing countries through this platform. Worldreader's groundbreaking work has been profiled in The Guardian. We have collaborated with unglue.it to produce several books such as Oral Literature in Africa, Feeding the City, The Classic Short Story, 1870-1925 and The Jewish Unions in America: Pages of History and Memories. Unglue.it is a service provided by The Free Ebook Foundation It's a place for individuals and institutions to join together to liberate specific ebooks and other types of digital content by paying authors and publishers to relicense their works under Creative Commons licenses. College Open Textbooks, a US non-profit organisation with the most extensive listing of open textbooks on the web (over 700 titles), is in the process of uploading all our titles onto their site. OBP is working with EIFL (Electronic Information for Libraries) to provide three years' free membership of the OPB Library Membership Programme to libraries that are members of library consortia in EIFL partner countries, including Botswana, Cambodia, Kosovo and many more. OBP has partnered with Library For All to give schools and university libraries in the developing world access to all our digital editions free of charge. We are excited to be part of Library For All's new project in Rwanda and we look forward to our books being made available to readers in Haiti, Cambodia, Mongolia and the Democratic Republic of the Congo. OBP is a founding member of the Pure Open Access Alliance. Created in 2013 the Alliance represents the major publishers which release all their list in OA format, and works to promote OA policies and best practices. 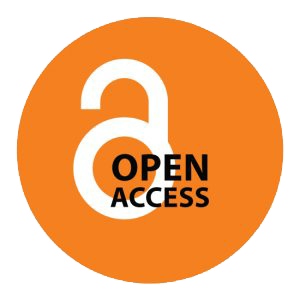 Formed in 2015 the Radical Open Access Collective is a community of scholar-led, not-for-profit presses, journals and other open access projects. The collective promotes a progressive vision for open publishing in the humanities and social sciences and share an understanding of open access as being characterised by a spirit of ongoing creative experimentation. We are part of INASP's network of Open Access organisations. INASP works with partners like us to support global research communication through innovation, focusing particularly on the needs of developing and emerging countries. We are members of the Open Access Scholarly Publishers Association (OASPA), whose mission is to represent the interests of Open Access journal and book publishers globally in all scientific, technical and scholarly disciplines. This mission will be carried out through exchanging information, setting standards, advancing models, advocacy, education, and the promotion of innovation. Our Membership page can be found here.